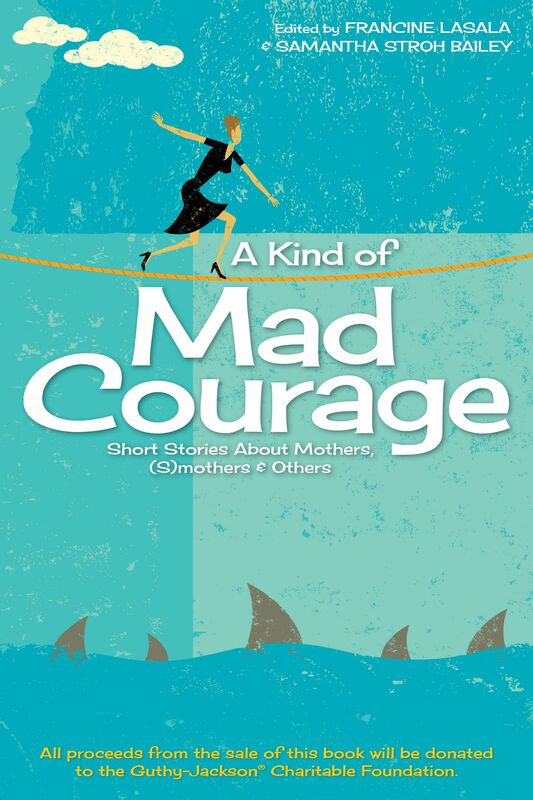 As many of you may already know, I, along with five author pals, got together this Holiday Season and released a charming, heartwarming Christmas-themed short story collection for a very cool charity called Rocking the Road for a Cure. I had the opportunity to interview Dawn Frey, founder of Rocking the Road for a Cure, and I’m excited to be able to share some very cool info I learned about the charity with you. Please read the interview and see how you can get involved with what this very cool charity is doing. And please… Buy the book! Just 99 cents for the ebook and less than $10 for the paperback! Can you give us some background about Rocking the Road for a Cure? What inspired you to start it? When I was diagnosed with breast cancer, I was working as a therapeutic consultant with MS (multiple-sclerosis) clients, and wanted to start a non-profit organization to help MS patients get free in-home services. Then I was diagnosed with breast cancer, and during my treatment, I went to a wellness retreat in Rhinebeck, NY sponsored by the Libby Ross Foundation. There I did rehabilitative yoga and got health and nutritional counseling in a group setting with other breast cancer patients going through treatment, and with survivors. I enjoyed the retreat, but at the time, because of my treatment, my immune system was compromised, so I asked if I could get these services at home. They told me they only had offices in Manhattan, and I was not comfortable with making the trip into the city and the exposure to so many other people. I felt that even if the yoga at their center helped for an hour, the stress of the travel and finding parking, and the potential exposure to all those people when my immunity was low could set me back much more. I researched getting these services at home, but nobody was providing them. I decided that once I got better, I would start an organization to provide wellness services at home for others. People going through cancer treatment should be able to have the benefits of these kinds of things without the stress of having to get to an appointment, the stress on their immune systems, or having to deal with not being comfortable in public if they’ve lost their hair, or other issues like that. How many women have you worked with since you started? Rocking The Road For A Cure has now helped 50 patients. 49 women and 1 man. How is this organization different than other breast cancer focused organizations? We provide some of the same services as other organizations, but patients don’t have to go someplace to get them. They don’t have to make an errand out of getting them. Our service providers are certified and licensed professionals, not volunteers. One unique thing about RTRFAC is our nurse case manager service. We have a licensed, certified nurse case manager contact each patient and make a home visit within a week of first contact to assess each patient’s individual needs and their home environment. The nurse case manager can then recommend services that might help the patient, but that the patient might not have requested themselves, like nutritional counseling. Another thing that’s different about us is that we don’t look at patients’ financial information. We provide services to anyone, regardless of financial status, and treat all patients the same that way. What types of things do you do for women with breast cancer? Our website and brochure have a full list of our services, and there are a lot of things we do. In the wellness services category, we provide in-home yoga, reiki, massage, meditation. Lymphedema is something that happens to many breast cancer patients when their lymph nodes are affected or removed, so we have a licensed massage therapist who specializes in lymphedema and breast cancer and makes home visits. Under support services, we have the nurse case managers, a recreational therapist, childcare specialists and counselors, transportation to and from medical appointments. For household help, we have a nutritionist who helps shop for and prepare healthy foods, and teaches patients how to do this. We also provide housecleaning and laundry help, and professional organizing, and we have beauty consultants who will take our clients wig shopping and we pay for their wig. For any services we don’t currently provide, we have a wide range of resources we can use for referral. We’re also open to and willing to do whatever a patient needs help with. For example, we recently got a client who’s elderly and whose daughter is wheelchair bound and can’t accompany her to her cancer treatments. We got her a companion who not only takes her to and from, but stays with her during her appointments. Chemo can take several hours, so this way the client isn’t alone during that time, and there’s someone to report back to family members as well. Are there any specific requirements for women to use your services? Our clients must be going through the diagnosis and treatment of breast cancer, and they have to have an official cancer diagnosis from a doctor. For any services that require physical contact, like yoga or massage, we require a physician’s release form and medical release from their doctor on the doctor’s letterhead. What are some goals for Rocking the Road for a Cure in the coming years? We really want to expand our services to more people in a larger geographic area. We also want to be able to provide more services and service hours per client…to increase the allotted funding per client. Our services are free to clients, but our licensed, professional service providers are paid competitively. So we need to increase our funding to be able to give more to clients. Most of our funding so far has come from fundraising events and individual donations. More recently, we’ve started applying for grants to help us grow at the rate we’d like. How do you find women to help? Do you have relationships with cancer centers? Doctors? Word of mouth? Actually, all of the above. We have partnerships with Adelphi University’s New York State Breast Cancer Hotline and Support Program, and with other women’s health service organizations in our area. We do cross-referencing and referrals with other local breast cancer organizations. We get referrals from local oncologists, plastic surgeons and physical therapists that specialize in treating breast cancer patients. We’ve done community outreach, speaking at local civic organizations. And we get word of mouth referrals too. We welcome involvement! Anyone interested can make a donation through our website, www.rockingtheroadforacure.org, and they can contact us through there as well if they’re interested in volunteering. We have long- and short-term volunteer opportunities, like if someone is interested in helping us with a specific fundraising event. We’d welcome some help with marketing and website maintenance. And we always welcome promotion of our organization on your websites and Facebook pages. 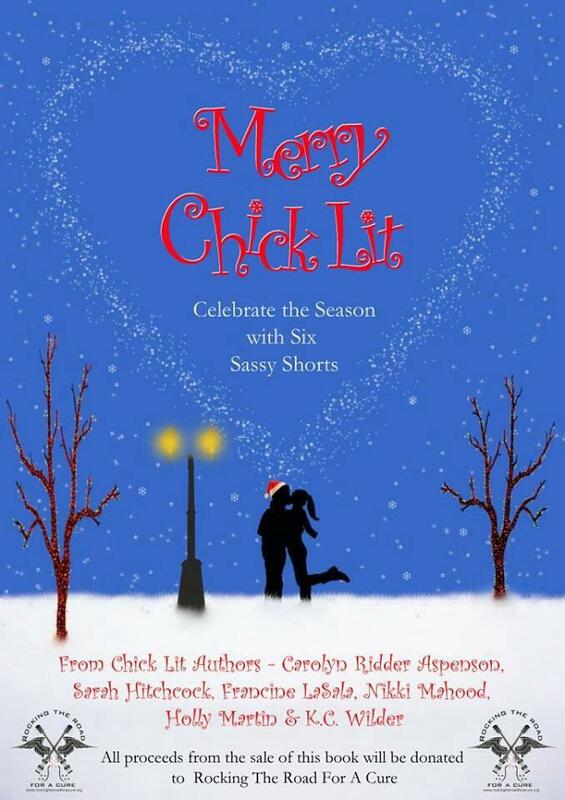 We’re very lucky and grateful to have become involved with the creators of Merry Chick Lit, so THANK YOU to all the authors who donated their time and talent to helping us! Learn more about RTRFAC by clicking here. In “Santa’s Gift,” journalist Jessica thinks Santa’s just a silly myth for children, so when he asks what she most wants for Christmas she tells him the one thing she knows he can’t deliver–true love. Or can he…? In “The Christmas Lights,” one competition pits two families against each other…who will win this war? Ella’s dreams of making a better life for her and her daughter seem further away than ever in “Iced Dreams.” But as Christmas approaches, and she wishes for a fairy godmother to wave a magic wand to fix her life, things begin to change in ways she never imagined! So snuggle up near the fire with a glass of wine or a cup of cocoa and enjoy these festive holiday shorts, knowing your purchase of this book is helping women with breast cancer. So delighted to be hosting my great pal, the gorgeous goddess from Glasgow, Susan Buchanan, on my blog again. I interviewed her about a year ago, and adored her even more than after I’d finished her THE DATING GAME. Read that interview HERE and you’ll see what I mean! To celebrate her new release, THE CHRISTMAS SPIRIT, I asked her to tell you guys Five Fun Facts about her… So here they are. Enjoy! And please buy her new book. I did! I’m not finished yet, but I’m getting evermore charmed by the page. A great holiday read! Now I’ll stop my blabbing. Here’s Sooz! As many know I love to travel, but I haven’t really shared where I’ve been. So, let’s just say I’ve posted on Facebook at 6am ‘Baku rocks’, as I had just returned from pretty much an all-nighter in Baku, Azerbaijan. I was out with my 70 year old rep (I worked in Sales) and God knows where we were. I could never have found my way home again! I did, however, bump into lots of Scottish people involved in the oil industry over there and we partied! I remember doing the conga at one point in a pub. Not sure why! I’ve also been on safari in Kenya, which was amazing, but I haven’t done the Masai Mara yet. I’m torn between doing the balloon ride over it, as I don’t want the balloon to drop and me be eaten by lions. It’s not a good way to go, I hear. I’ve been to a lot of the US, but I have to say one of the places which struck me most was Beale St in Memphis, where lots of the music clubs are. I was there on a Saturday and wandered up to this area in a park where loads of people were milling around. Random onlookers would take it in turns to sing and the whole crowd was behind them – it was amazing. When I am in the car, bored sometimes, I try to work out how many countries I’ve been to. I think last month I got it to 50, I had forgotten three before. Well, if you will go to Honduras, just to play Scrabble, it does tend to slip your mind! I am very accident prone, but have never actually broken any bones, although I’ve torn ligaments countless times and have a weakness in my right ankle. In fact, when my met my other half, Tony, at New Year in the Scottish Highlands, I was on crutches! I have a scar on my left shin where I fell off a climbing frame, shaped like an igloo. I was hanging upside down from it at the time, when I was eleven. I also have a scar on my left thigh where a girl bit me when we were fighting – I think I was twelve. I am terrified of rats – they freak me out – it’s something about the tails. Also not keen on snakes. I’ve heard too many stories, although I did have a python wrapped around my shoulders when on holiday in India, in an attempt to get me over my fear. It was one of my least comfortable experiences ever. I have no pain threshold – I am a total wimp, or so I thought. I was dreading childbirth, as the female members of my family kept saying ‘you’ll be a nightmare’, but you know what? I was fine. Yes, it was bloomin’ painful and long, but I wasn’t the person screaming so loud, her other half could hear her down the corridor. That was my kid sister’s friend! I love quiz shows and board games. Baby Antonia’s head snaps around whenever she hears the theme tune to certain quiz shows and I’m sure it’s because when she was in the womb and for the first few months of night feeds, I had the quiz shows on. She will quite happily sit through them. I am hoping the knowledge rubs off on her! Eighty-two-year-old Stanley lost his beloved wife, Edie, to cancer. 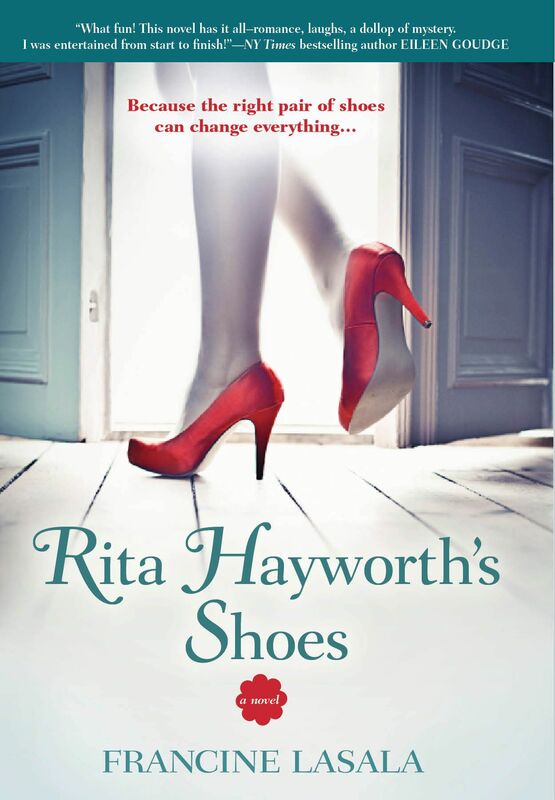 How will he cope with his first Christmas without her? The enigmatic Natalie Hope takes over the reins at the Sugar and Spice bakery and cafe in an attempt to spread some festive cheer and restore Christmas spirit, but will she succeed? BUY THE CHRISTMAS SPIRIT NOW! 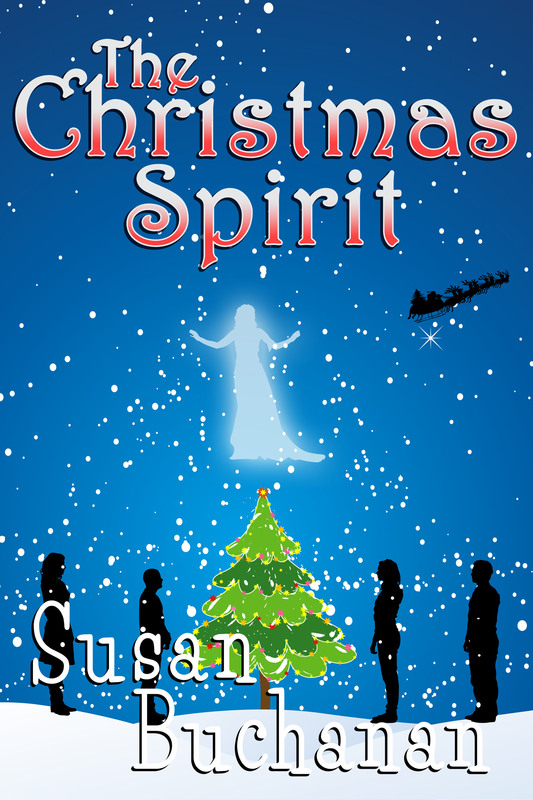 Start reading The Christmas Spirit now! Well, my D-Day anyway, thought Natalie. Every year on this day, December 1st, her raison d’être and her job, as such, began. It only lasted a month, but her personal deadline was always twenty-four days. The other week was just to ensure there was no unfinished business. Natalie hoped Christmas 2013 would be a good one for everyone. If she had anything to do with it, as in the past, those she chose would have a Christmas to remember. This year she would be working in the small town of Winstanton about twenty miles north of Glasgow; more of a village really, with its carefully tended lawns, idyllic cottages and splendid views over Loch Lomond. Each year Natalie had to choose a different country. This was her first visit to Scotland. She hoped she would get used to the Scottish accent and that her own would go unnoticed. Speaking several languages came in handy, but it was even better to blend in like a local. Although Natalie’s job actively only lasted one month per year, her preparation lasted ten months. Well, she did get some holidays. Ten months in which to research, narrow down and shortlist her candidates. It was no easy task, as although a small town, Winstanton still had fifteen thousand residents and Natalie could only choose four. Now, she couldn’t possibly check them all out, could she? No. Natalie had a gift which helped her. She could feel other people’s happiness. The downside was, she could also feel their unhappiness. Marvellous, eh? Natalie readjusted her handbag on her shoulder and grabbed hold of the handle of her carry-on case, dragging it along the deserted platform of Winstanton train station. She had picked up the keys to her new one-bedroom cottage earlier that day in Glasgow. Now all she had to do was make her way there. There wasn’t a taxi in sight; not surprising, since she was the only person who had got off at the station. Fortunately there was a phone box, an old style red one – how quaint. Even luckier, it hadn’t been vandalised and it had a Yellow Pages in it, which hadn’t been ripped to shreds. Natalie had never got around to getting a mobile phone. There was no reception where she lived most of the year, so there seemed little point. Taking out a piece of paper from her purse, she dialled the first taxi number she’d come across in her research of the area; she was nothing if not prepared. In her job she had to be. She was looking forward to her new role. Her job was always a job within a job; a little difficult to explain, but it was kind of like a secondment. ‘Thanks,’ said Natalie, when he swung it with some effort into the boot. He looked as if he would indeed like to know, but was too polite to push it further. They arrived at Rose Cottage within ten minutes. ‘Worth every penny,’ Natalie pronounced. She handed him seven pounds and told him to keep the change. ‘Do you want me to wait until you see if anyone’s home?’ asked the driver, eyeing the darkened cottage. The driver’s expression conveyed that was unlikely to be the case. She noticed he didn’t leave until she was safely inside the cottage and she’d switched on the hall light. Nice soul, obviously a happy man. He wouldn’t be needing her help. Here are those BUY Links Again! For today’s Wassup Wednesday, I have author Karen E. Martin talking about her new release, Modogamous! Karen E. Martin, M.Ed. is a full-time freelance writer/editor. 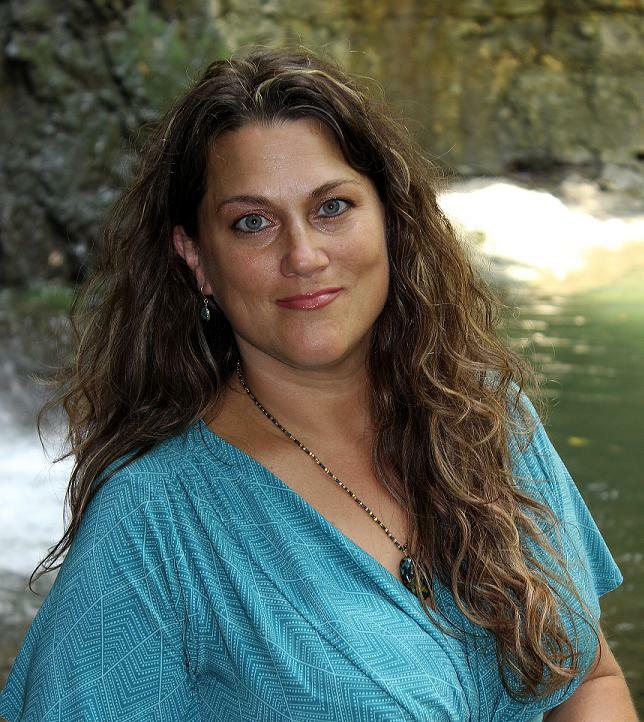 She has been in the publishing business since 2004, working on books and publications for major and independent publishers, universities, businesses, and private individuals. 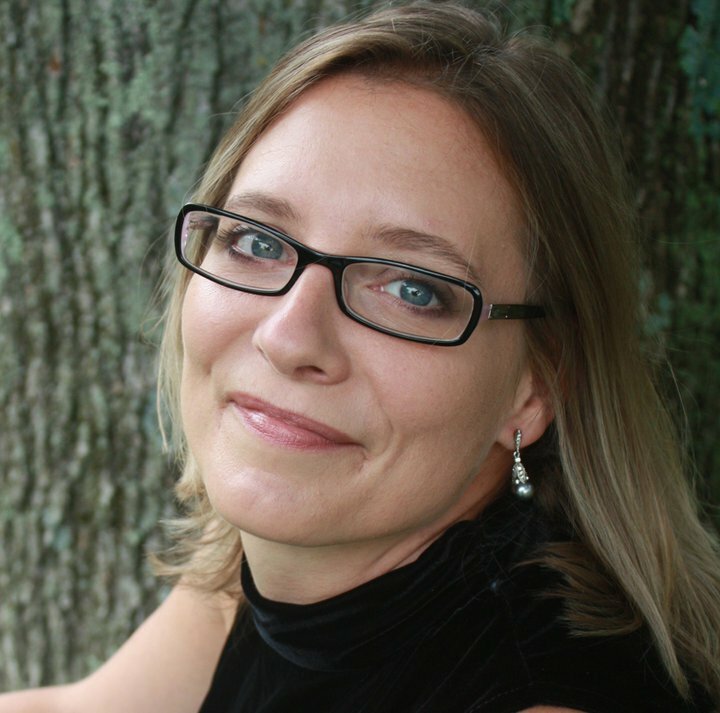 Prior to entering the field of publishing, Ms. Martin worked as a Senior EFL Fellow (English as a Foreign Language) for the U.S. Department of State in Romania, a Junior EFL Fellow for the U.S. Department of State in Jordan, and a teacher-trainer for the U.S Peace Corps in Mauritania, Jordan, Romania, and Morocco. 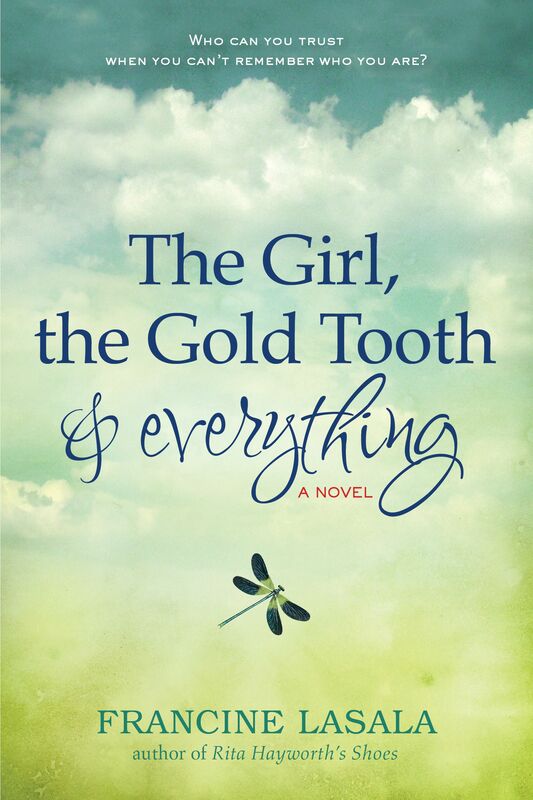 Ms. Martin served as a Peace Corps volunteer for two years, teaching English in the Errachidia Province of Morocco.This is Ms. Martin’s first novel. I thought I’d share a little tidbit from early on in the book. 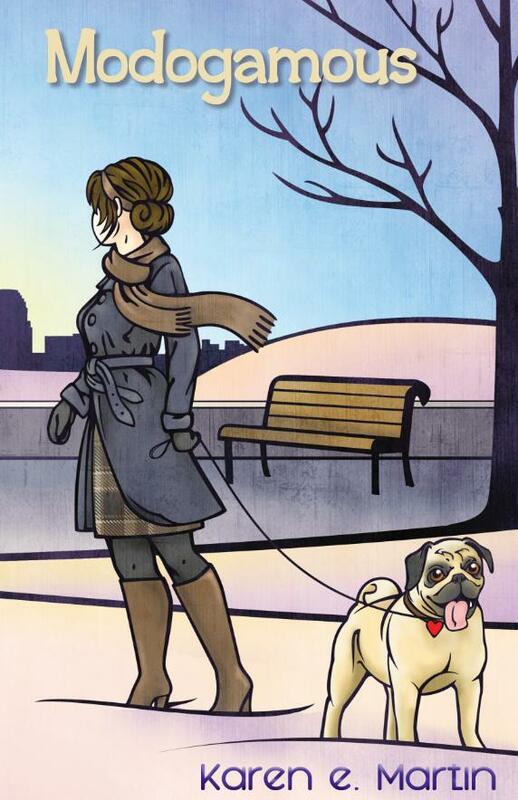 It’s no secret that a pug factors into this story somehow. Today, I’d like to invite readers to find out more this cute little guy’s role. Enjoy! Kate closed the front door behind her and slumped against it with relief. It had been a long, long day at work, and all she wanted to do now was sink into the bathtub and enjoy an evening of peace and quiet. Unfortunately, there was about to be Drama. In the form of a wiggling, wagging, hysterically barking, incredibly ugly, slobbering little chunk of a dog. And it was jumping on her. “I’m scaring him? That thing nearly gave me a heart attack! Vetta, why the heck is there a dog in the house?” Kate scowled, crouching down to gather up the things that had spilled out of her bag onto the floor. “What?” she batted her eyelashes. “You knew I was getting a dog. I told you.” Evette feigned a look of innocence, but Kate knew her well enough to read the mix of confidence and guilt that lurked just beneath the surface. Evette was the kind of gal who preferred to ask for forgiveness, rather than permission. It was one of the traits that Kate loved best about her friend—except when it was used against her. This wasn’t the first time she’d been the victim of some such stunt by Evette, and it probably wouldn’t be the last. Ugh, baby talk…revolting! “Oh, come on. I didn’t know you were serious with all that stupid talk about modogamy. We were just humoring you.” Kate gauged Evette’s expression at zero percent humor. “Maybe it was all just funny talk to you, but I was dead serious. I’m through with men. It’s just me and Drama from now on. And anyway, it’s too late to take him back to the shelter now,” she said defiantly. “Drama?” Kate raised one eyebrow. “Yes, Drama. That’s his name.” Evette offered the pup in Kate’s direction, but Kate flung up her hands and backed away, the revulsion on her face reminiscent of a new father facing his first poopy diaper. Then Kate threw her head back and laughed until her sides started to ache. Evette flounced out of the room, taking her furball with her. Click here to buy MODOGAMOUS now! Also… Click here to join in the Modogamous Holiday Hop Giveaway to win a fabulous Swag Pack full of prizes! The Swag Pack winner will receive a signed copy of the paperback, tote bag, coffee mug, Christmas ornament, and more! Additional prizes include a copy of the e-book, a signed paperback, and a limited edition, signed art print of the book’s cover art. Kate Adams has it all figured out. Five years out of college, she’s got a steady job, a home she loves in the big city, and good friends who always keep her laughing: her stylish but nosy roommate Evette, happily-married Cecie, and of course, good old Mitch, her seriously cute co-worker who’s been stuck in the Friend Zone since the day they met. Everything is going just fine—until the night Kate crosses the line with Mitch, and the boundaries between friendship and love begin to blur. Things get even more complicated when hunky JP enters the scene. What’s a girl to do? Add to the mix a spunky little pug Kate never expected to fall for, and her neatly-ordered life is starting to look more like a dog’s dinner. Maybe her roommate has the right idea after all: forget the men, and stick with a canine companion instead. It’s time for Kate to figure out what she really wants in life. But can she dig her way out of the mess she’s created before she ends up permanently in the doghouse?